Brian Ulrich's series "Retail" comments on the rise and fall of consumerism in recent years. His images of slack-jawed shoppers wandering zombie-like in over-stocked stores in the 2000's foresaw the inevitable crash at the end of the decade. 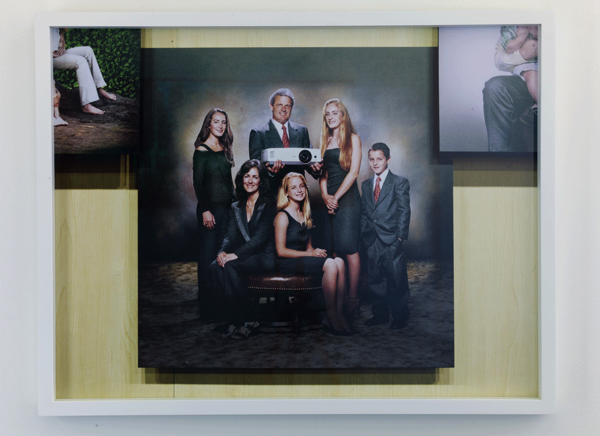 This image taken from the widow of a portrait photographer's shop shows a family happy to share their newest addition with the world.